Electronic Filter Wheel to add colour to your images. Of special interest to Atik 383L+ users is the short distance from the filters to the CCD. This means that popular 1.25" filters can be used with this sensor down to f/5, without any relevant vignetting. 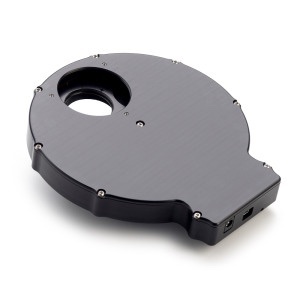 Filter disk options include 5x50.8mm, 5x2" mounted, 7x36mm and 9x1.25" mounted.